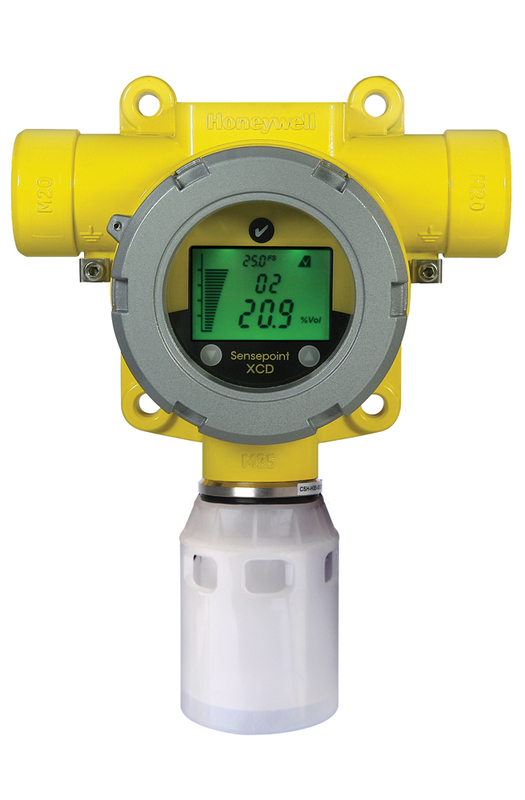 Sensepoint XCD makes it simple to monitor and detect hazardous gases for safety and compliance standards. Sensepoint XCD makes it simple to monitor and detect hazardous gases for safety and compliance standards. 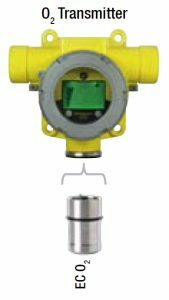 Sensepoint XCD fixed sensors offer comprehensive monitoring of flammable and toxic gas hazards as well as oxygen deficiency in potentially explosive atmospheres, both indoors and out. Special requirements exist for potentially explosive working environments within gas, oil, chemical production as well as dust-filled environments in wood processing and food industries. Users can modify detector operation using the LCD and magnet switches without ever needing to open the unit. This enables one-man, non-intrusive operation and reduces routine maintenance time and costs. 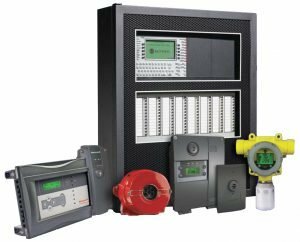 All detectors are supplied pre-configured and include 2 programmable alarm relays, 1 programmable fault relay as well as an industry standard 4-20mA output (sink or source selectable) and MODBUS. 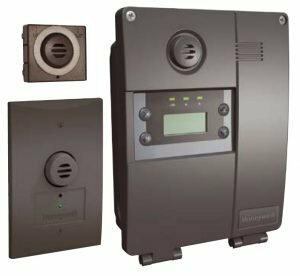 The scale, range, relay operation, alarm set point and electronic tag number of the detector can be adjusted using the transmitter’s LCD and non-intrusive magnetic switches. 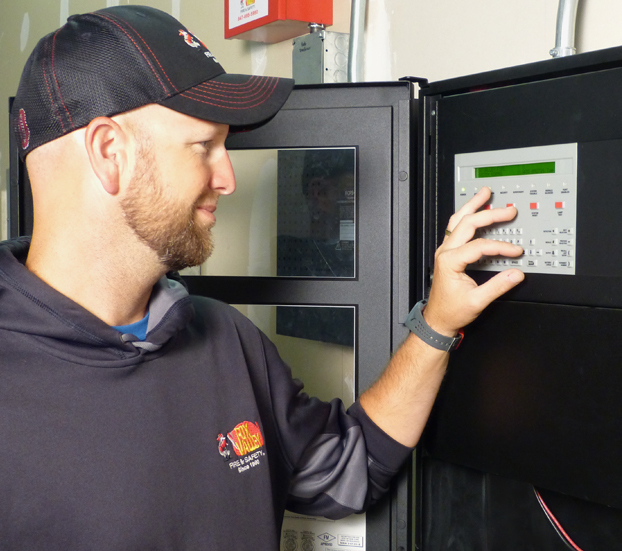 Outputs are automatically inhibited during adjustment, thereby reducing the risk of false alarm at the control panel during maintenance. Sensepoint XCD has an integral mounting plate for surface mounting or can be mounted to a horizontal or vertical pipe using the optional pipe mounting bracket. Electrical installation can be made using either conduit or cable with suitable mechanical protection. Two M20 or ¾”NPT entries are provided (depending on certification). A weatherproof cap is also included for use in the harshest outdoor conditions. Other optional accessories include a sunshade/deluge protection, duct mounting kit, collecting cone and remote mounting sensor socket. Sensepoint XCD ensures easy installation and the fastest routine operation by removing the need for hot work permits in hazardous areas. Using easy to replace plug-in sensors, downtime is also reduced and on-going costs are minimized through the use of poison resistant flammable sensors, poison immune infrared Hydrocarbon sensors and patented Surecell toxic sensors. Ready, Steady, Go! – Sensepoint XCD uses three instantly recognizable ‘traffic light’ colors to indicate its status. The large tri-color backlit LCD is steady green to indicate normal operation, flashes yellow to indicate a fault/warning and flashes red to indicate an alarm. This allows anyone in the area to clearly see at a glance the status of any detector. This can be particularly useful to identify detector status if the detector is located in a difficult to access area or if a number of detectors are located in the same area. There are three different types of the XCD transmitter for use with three different families of sensors. 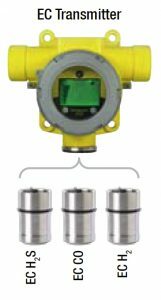 The mV type transmitter is for use with the mV family of XCD sensors including catalytic sensors to detect flammable gases in the range 0-100%LEL and infrared (IR) sensors for detection of Hydrocarbon gases in the range 0-100%LEL and 0-100%Vol*, as well as Carbon Dioxide (CO2) in the range 0-2%Vol. The EC type transmitter is for use with the EC family of XCD sensors including Carbon Monoxide (CO), Hydrogen Sulfide, (H2S) and Hydrogen (H2). The Oxygen transmitter is for use with the Oxygen (O2) XCD sensors. A transmitter can auto-recognize any sensor from within its sensor family. The sensor simply plugs into the bottom of the transmitter and the transmitter automatically configures itself accordingly.